Disciplinary action in the workplace is a crucial thing, but no doubt it can be a difficult one, from sending the first warnings to calling for a board review or suspension. 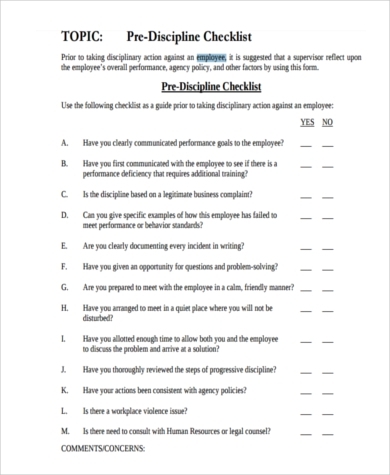 Drafting Action Forms to track corrective measures and notify employees is a proven way to professionally control misbehavior as needed – but again, it is only as effective as it is drafted and executed. To help you in this task, we have compiled a list of free templates you can download in PDF and Word doc formats. Sending a written notice to an underperforming or misbehaving employee is standard procedure in most workplaces. Following this, further corrective actions might be warranted. These, too, must be documented in Employee Action Forms. It is on these forms that further correction or evaluation will be based. As such, these must be carefully recorded. 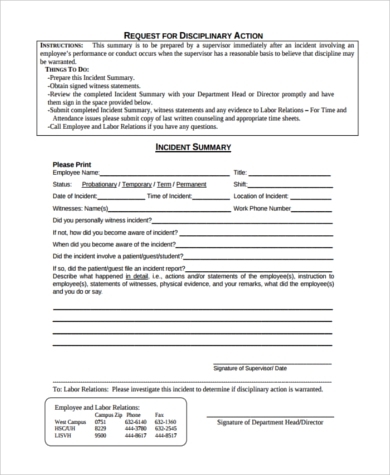 To make this job easier for you, we have included here a variety of free templates to cover common situations when such a written warning or record is required. you will find helpful formats and examples in this list of free templates. Facing discrimination in the workplace? A culturally diverse staff is becoming a common reality in many global-oriented businesses. This is another area personnel management must cater to. Be alert for any discriminatory behavior or practice by employees. You might be interested in checking out some free Sample Affirmative Action Forms to deal with these situations. Doing what you do is difficult, but it must be done well, and you need all the professional help you can get. Here on SampleForms.com we provide a host of free resources, samples, and templates to help you do what you do better. Employee Write Up Templates. 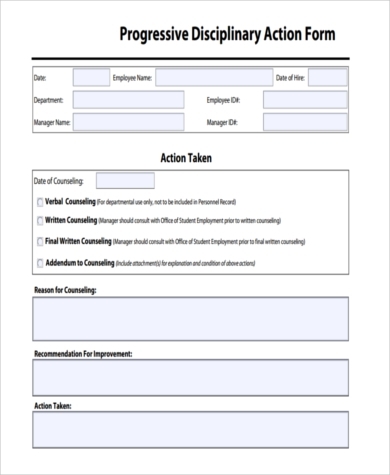 These are templates for a variety of forms regarding employee behavior. You can find downloadable employee disciplinary forms, warning notice templates, welcome letters, as well as performance reviews. 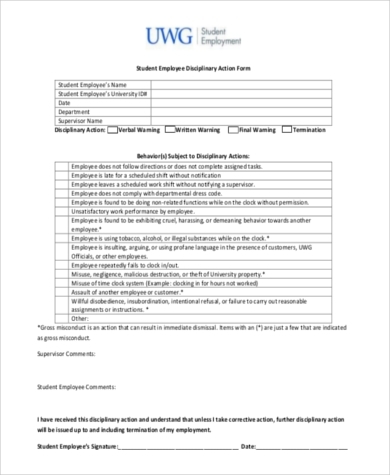 Sample Disciplinary Forms. Because sometimes Disciplinary Action Forms are not enough. Planning a disciplinary meeting or even a suspension as part of a corrective action plan? 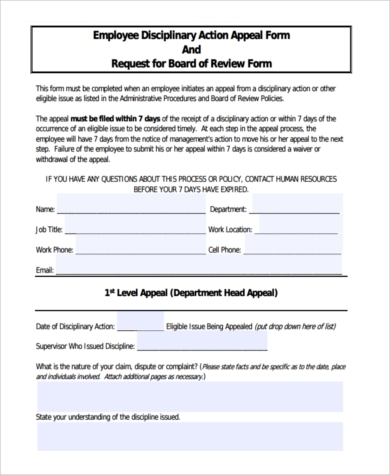 Check out any of our sample disciplinary forms, which will guide you in writing everything from probationary dismissal letters to the ending of a disciplinary suspension. 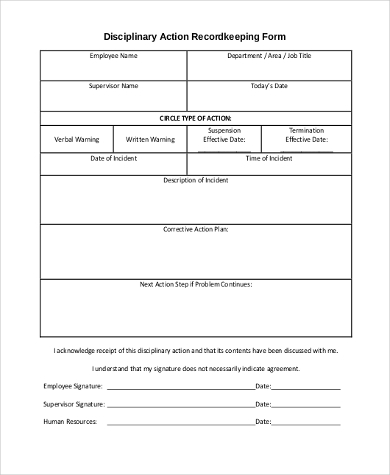 Corrective Action Forms. This type of document will ensure quality management in areas of company non-conformance. Wherever possible, we include helpful blank templates to get you started. Sample Employee Warning Notices. 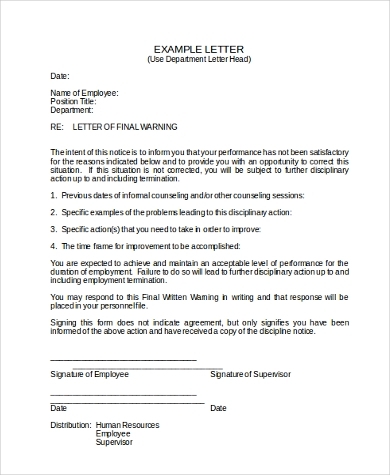 Need to write a warning letter? 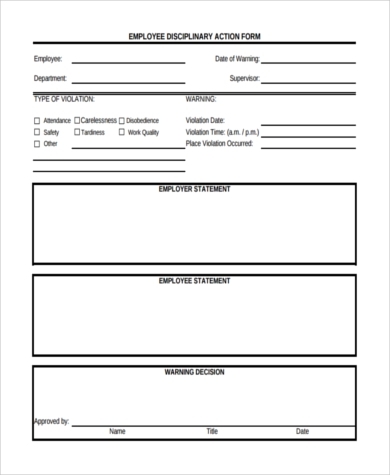 We provide free templates of these for a variety situations – from warning new employees of poor attendance to notifying an employee of demotion. Also covers first and second warnings and counseling meetings. Tricky situations, free and helpful templates.